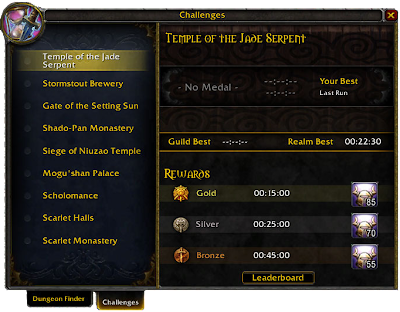 Blizzard added a leaderboard for challenge modes where you can see the top scores on your realm. 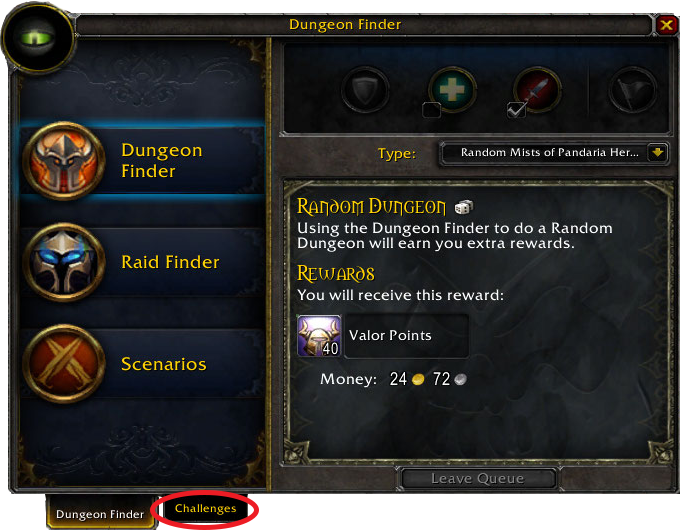 To get to it, first get to your Dungeon Finder, the default button is I.
Click on the Challenge mode tab. 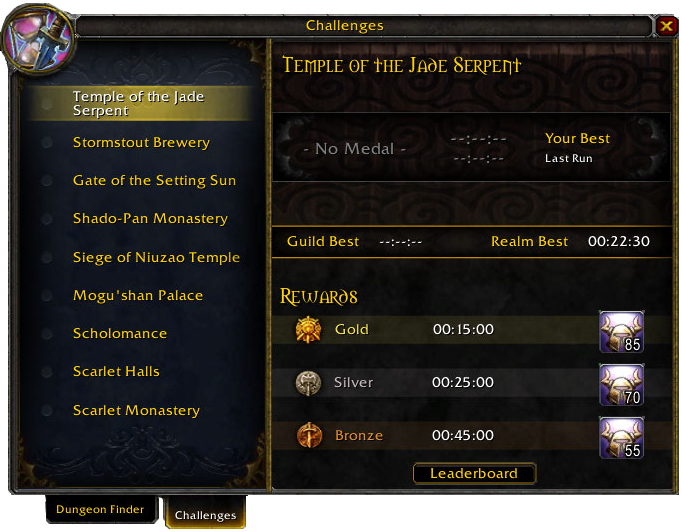 Now you can see your best times, guild best and realm best. Clicking on the leaderboard button opens a browser for realm best scores. 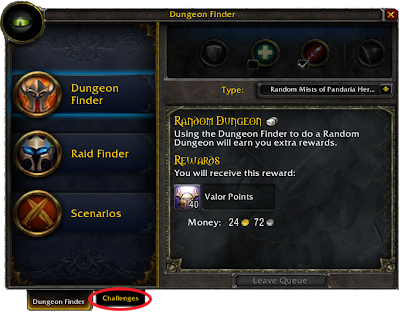 Labels: Challenge Mode, Did you know?